August 2016 – Welcome to Wyandotte Daily! 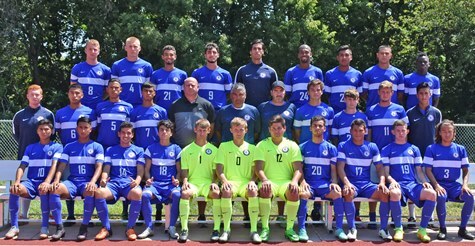 Kansas City Kansas Community College is taking soccer to elementary schools in the Kansas City, Kan., School District. An after school program called “School Is a Kick,” the program kicked off Tuesday in two elementary schools in the Argentine area – Noble Prentis at 2337 S. 14th St. and Silver City Elementary at 2515 Lawrence Ave.
Open to students in third grade and above, Rodriguez and two members of the KCKCC soccer team will be conducting after school programs at both schools each Tuesday and Friday through Sept. 26. Each 30-minute after school programs will focus on an array of soccer skills such as passing, finishing, receiving and more along with a value lesson to match the exercise in such areas as fitness, setting goals, community service, nutrition and the importance of learning. Rodriguez said he first introduced to the program to Ann Brandau-Murgita, the District 3 Commissioner for the Unified Government of KCK and Wyandotte County, who in turn recommended it to the school principals, Sharon Potts at Noble Prentis and Deanne Letoureau at Silver City. “Both principals were very excited and enthused about the program and quick to adopt it,” Rodriguez said. Any other elementary school in the KCK School District interested in adding the program is urged to contact Ruben Rodriguez at KCKCC at 913-288-7255 or online at rrodriguez@kckcc.edu.